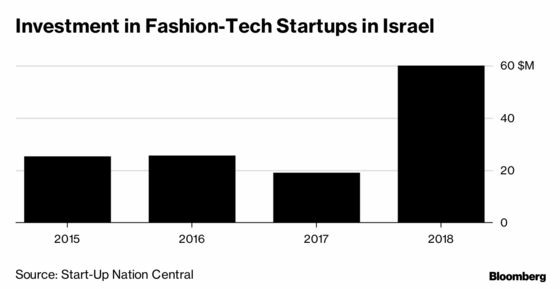 (Bloomberg) -- Israel, a country often beset by drought, is home to a clutch of startups that help textile manufacturers keep chemicals out of the water supply. Browzwear, with its headquarters in Singapore and an R&D hub in Raanana, Israel, builds 3D software to cut down design time, counting Adidas AG, Nike Inc. and Columbia Sportswear Co. among its customers. Less time spent testing clothes means clients “wash nothing, throw nothing away, and avoid wasting water,” said Lena Lim, Browzwear’s commercial president. That kind of conservation is important for an industry that accounts for about 8 percent of the world’s greenhouse gas emissions, according to Quantis, a sustainable business consultancy. It also is responsible for 20 percent of industrial water pollution, the World Resources Institute said. “There’s consumer pushback on how much the industry is polluting,” and companies are reacting, Lim said. Patagonia Inc., an environment-friendly sports clothing maker, donates 1 percent of its sales to environmental organizations. Casual-wear manufacturer Uniqlo Co. started a recycling initiative in 2006. The environmental and social impacts of selling cheap clothes have come under scrutiny, with fashion designer Stella McCartney calling on business leaders and politicians to help the industry reduce its environmental impact. Landa is an investor in Petah Tikva, Israel-based Twine, a digital thread-dying system using digital-printing technology, which eliminates the need for the big vats of color used in factories in China or India. The designer selects the color he seeks from a virtual inventory, and a spool of white thread fed into the printer-like system comes out in the requested shade. The company, which doesn’t use water at all, just closed a funding round that included HP Tech Ventures and the U.K.-based thread manufacturer Coats Group Plc. Israel has a history of building printing companies. Kornit Digital Ltd., a manufacturer of digital inkjet printers for the textile industry, listed in the U.S. in 2015. Scitex Digital Printing Inc., a maker of high-speed inkjet printers, was sold to Eastman Kodak Co. for $250 million in 2003. Investors remain keen to tap into the new wave of digital printers, including those that can be used in the textile industry. Research firm Smithers Pira sees the market for digital printers growing to $3.75 billion in 2023, from $1.88 billion last year. Startup Velox Digital last year became the first investment in Israel by German chemicals company Evonik Industries AG. Digital-printing startup Highcon Systems Ltd., which focuses on printing for custom packaging, cutting down on waste and shipping costs, recently raised $20 million from regional investors. Amir Mizroch, director of communications at Start-Up Nation Central, a non-profit that promotes Israel’s tech industry, said he doesn’t expect giant fashion or retail technology companies to evolve locally. Instead, Israeli technology will continue to draw investment from companies such as Asos Plc, Walmart Inc. and Amazon.com Inc., encouraging these giants to set up development centers in Israel, he said.